Turn to us for reliable refrigerator repair in San Diego, California. San Diego is a big city. 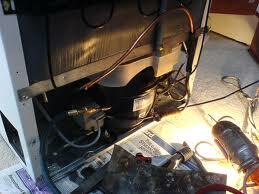 There are many appliance repair companies in the area. Many of these places offer good care for your fridge. We believe that our company is the right choice for appliance repair in San Diego CA. Our company hires experienced technicians qualified to service all fridge makes and models. We ensure outstanding service. A skilled expert will show up at your door the same day you call. You depend on your fridge. Depend on the San Diego Appliance Repair Experts to make sure you receive quality service at a fair price. Do you want refrigerator service provided by skilled specialists? Wouldn’t that provide you with the needed peace of mind? Sure it would. This is a valid reason to choose us for help. We’ll assign a trained tech to administer your service. You will find this appliance expert to be as friendly as they are effective. We believe a warm smile and quality results are the secret to great service. Our company only recruits the best techs to serve our customers. Get in touch with us to get superb fridge service in San Diego today. Here is our commitment to you. Refrigerator repair is our number one priority. If your fridge is giving you trouble, give us a call. We don’t put off until tomorrow what could be done today. Our word is our bond. When we say you’ll see a tech the same day, you can count on it. The fridge is a very hard working appliance. It must kick on and off continuously to keep your unit at the proper temperature. There are many things that could prevent this from happening. A worn out door gasket or broken hinges could allow cool air to escape. This will make your appliance work harder. A bad thermostat, switch or fan motor could be a culprit. The technician we send to your home will know exactly what to do. They will bring a variety of replacement parts to the job. You will receive fast and efficient fridge repair service. Contact us today. Great service begins and ends with a dependable refrigerator technician. 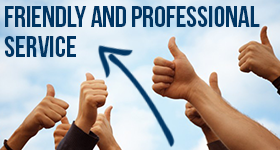 We concentrate on working with skilled pros we know you can trust. When you need San Diego refrigerator repair, choose us for the job.